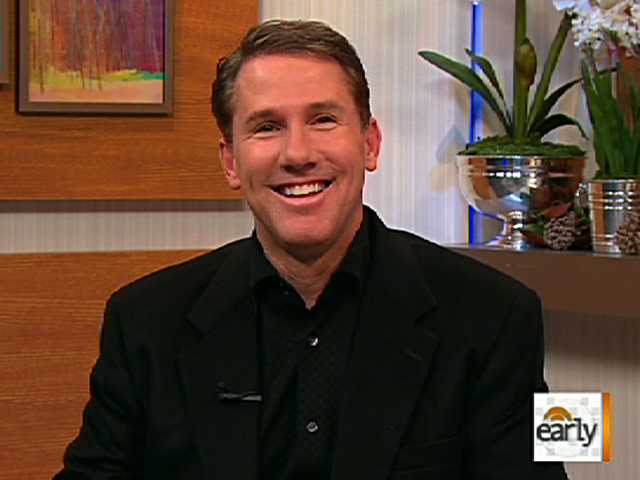 Nicholas Sparks has sold more than 90 million books in more than 45 languages. And then there are the movies that have been made out of his love stories. One of the most popular of those movies, "The Notebook," is in the works to take a spin on Broadway. Sparks said "The Notebook" is planned to take a turn on the Great White Way, but it's still in development. When asked about the process of making his characters into on-screen and on-stage presences, Sparks said, "The best way that I've always found, and it's what I've done in Hollywood or whether it's working with the publishers that I've worked with for a long time is to work with people that you really trust who understand what it's about and they want to take that and mold it into something new." "Obviously," he continued, "'The Notebook' is going to be some sort of musical and a lot of fun to be involved in that process, too." But who will be playing the characters so beloved as Noah and Allie in the show? "Gosh, I don't know, someone who can sing!" Sparks said. For more with Sparks on his creative process, his plans for his books being made into films and talk about his next book project, click on the video above.